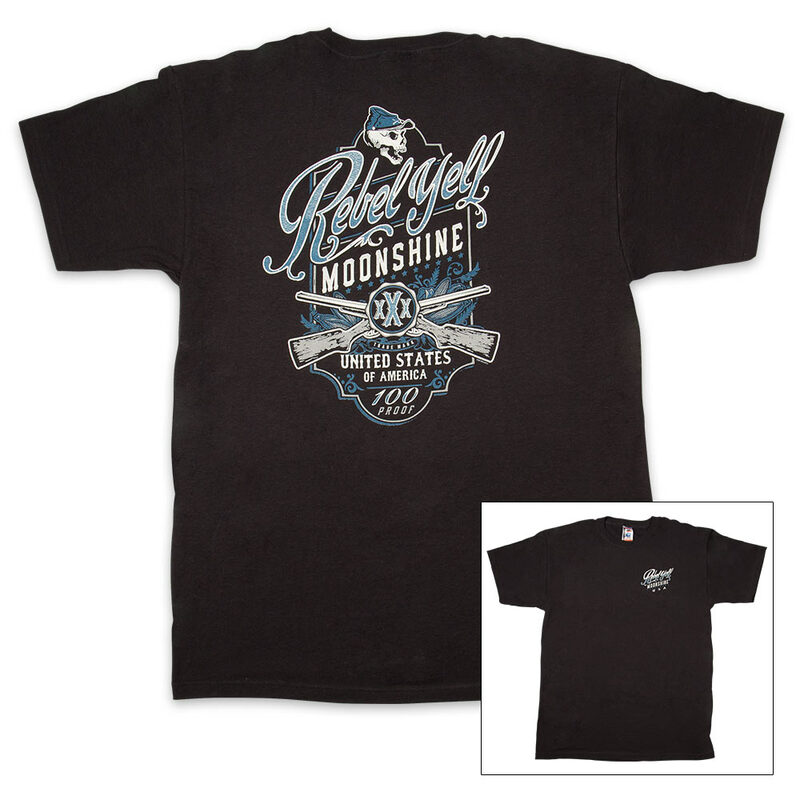 Rebel Yell Moonshine Black T-Shirt | BUDK.com - Knives & Swords At The Lowest Prices! Looking for an alternative to the standard-fare, boring t-shirt design? Boring our Rebel Yell Moonshine shirt is not! 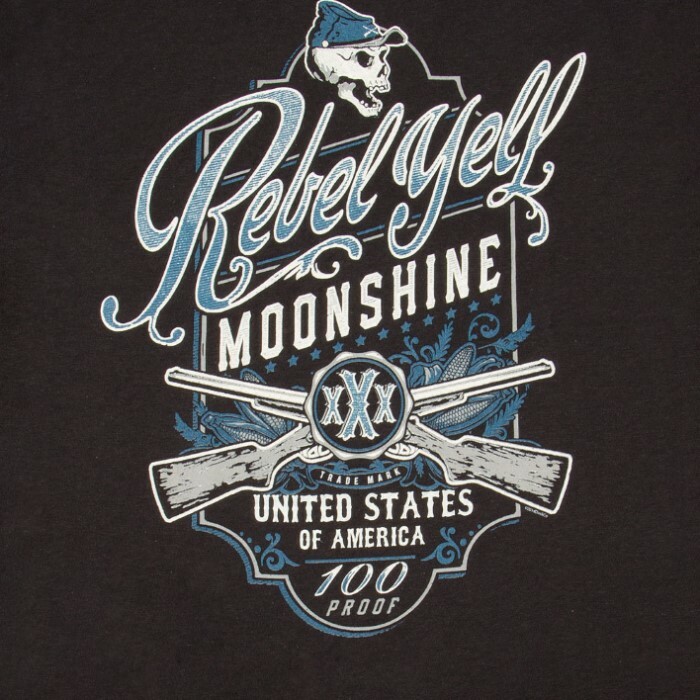 The high-quality t-shirt has a hand silkscreen printed piece of original artwork that gives a shout out to “Rebel Yell Moonshine” and features a Johnny Reb skull and the words, “United States of America 100 Proof.” The black shirt is made of 100 percent cotton and comes in sizes large, 1XL and 2XL. 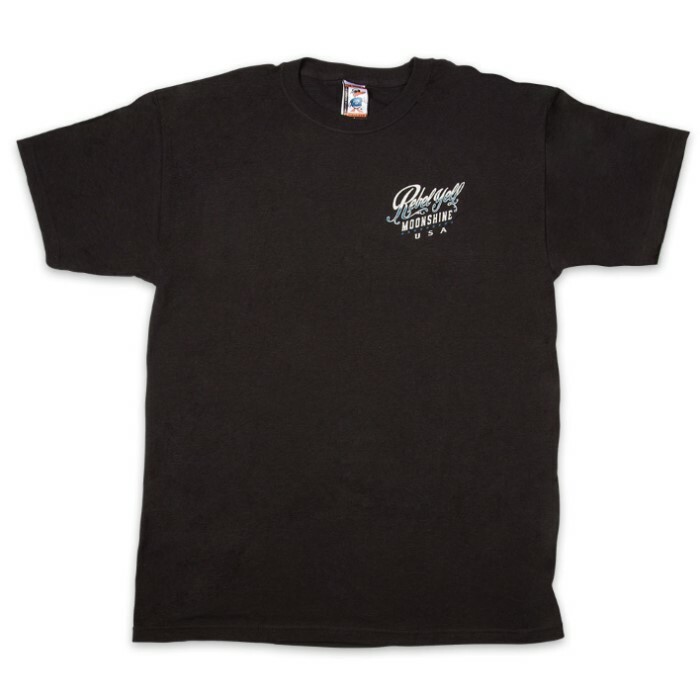 Add this rebellious t-shirt to your closet today!